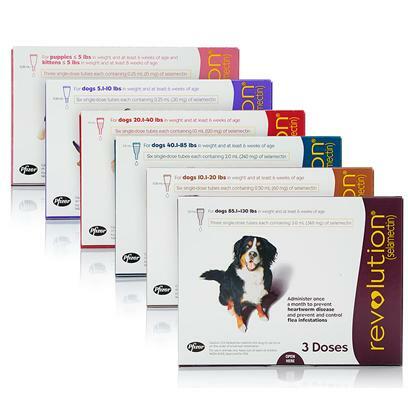 Revolution for dogs and cats is a broad-spectrum topical parasiticide that treats and protects against a range of internal and external parasites, like heartworm control and tick and flea prevention for dogs and cats. There are separate Revolution programs for dogs and for cats. Rated 4.5 out of 5 by 396 reviewers. Perfect! The product covers everything you worry about and the treatment is all rolled into one! The only flea/tick topical that protects against heartworms in cats, TOO! No more fleas , ticks , mites or any bugs whatever! Revolution-Truly a 'revolution' in Controlling Fleas, etc. Karla-I have a Labrador Retriever 100+lbs.